Annapurna Round and Tilicho Lake - Ananda Adventure P. Ltd. This is probably the most famous and iconic trek in Nepal, leading you through a wondrous landscape that varies dramatically from day to day. You’ll explore the Marsyandi valley and its beautiful peaks — Manaslu, Annapurna and Gangapurna — before crossing the Thorong Pass en route to the Kali Gandaki valley. Here, you’ll witness one of the world’s deepest gorges, nestled between giant mountains, with the Annapurnas and Nilgiris towering on one side and the Dhaulagiri peaks rising majestically on the other. 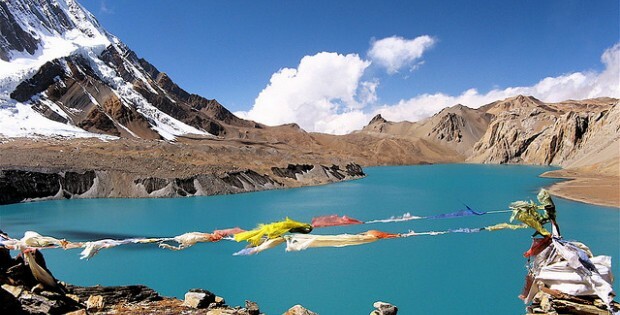 This is a magical route featuring off-the-beaten-track side trips, including an acclimatization day by the magnificent blue lake of Tilicho. Personal and mountain rescue insurance (required). Ask your insurer to make sure you are properly covered. Arrival in Kathmandu, where you are welcomed by our staff outside the terminal and transfer to your hotel. Late afternoon, enjoy a guided walking tour through the narrow lanes of the old city. Discover the colorful and bustling local bazars and Durbar square, the site of the ancient royal palace, full of temples and monuments. Guided tour of Kathmandu valley. Boudhanath, one of the great Buddhist shrines of Nepal. Its stupa is the oldest and the largest of Nepal. You will enjoy the activity here where Tibetans, sherpas come to turn around this monument, reciting prayers and turning the prayer’s wheels.. Then, continue to Patan, the ancient royal capital also known as Lalitpur “city of fine arts “ and famous for its ancient Newari architecture. It is an open air museum full of palaces, pagodas, monasteries, temples and shrines .. Early morning we catch a bus from Kathmandu to Bhulbule, 850m. Easy and flat hike to reach Nagdi, the beautiful flowered village where we will spend the night. Today we start with an ascend though terraced fields until we reach Bahudanda crest, maize fields start replacing rice paddies as we gain altitude. We descend to Syange bazar where we cross the Marsyandi river on a suspension bridge before reaching Jagat. You’ll experience a breathtaking view of Manaslu, one of the fourteen 8,000m peaks. We climb towards the Tal valley (1700m). We enter in buddhist land with villages that have more of a Tibetan flavour. Today, we’ll follow a charming trail through the pine forest. On arrival in Pisang, we can visit the old village and its brand new monastery facing the Annapurna range. We’ll also view the Pisang Peak and the Chulus. Today we start the day with the visit of Braga monastery, the oldest of the entire valley. Free time to visit Manang, the largest town in the valley. We will pass nearby Gangapurna glacier. Short and easy walk to Khangsar village where we stay for acclimatization. Today, Annapurna III and Gangapurna will accompany us on our travels. We have a steep climb on a tiny trail. We will stop at a Small gompa before descending to Tilicho Base Camp Lodge. 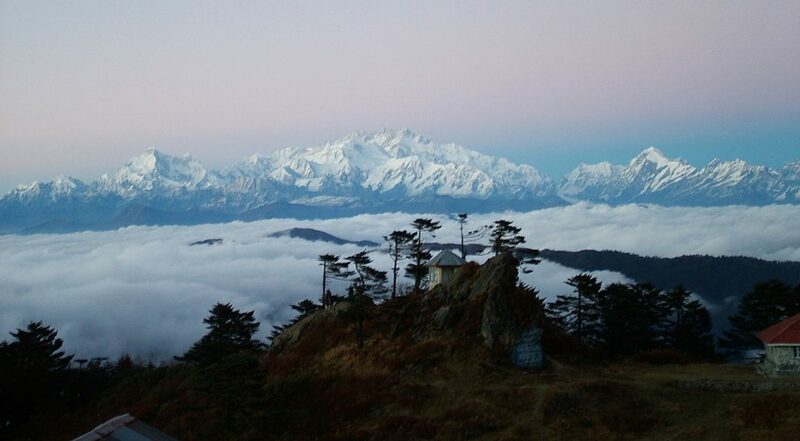 From the Lodge, we have stunning views of the Annapurna range, the great Barrier and Tilicho Peak. Today we have an easy and slow ascent as we remain at the foot of the Thorong Pass. We walk one more hour to reach the high camp. Tomorrow, it is the big day!!! We will set off very early to cross Thorong pass 55415 m). 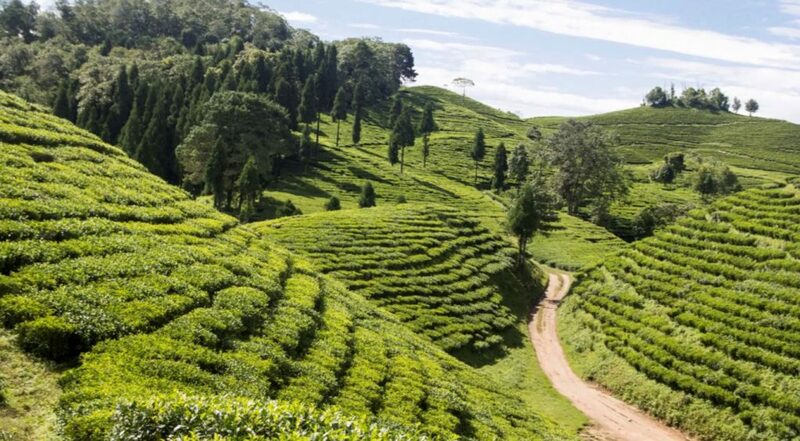 You’ll leave behind the Annapurna range and cross the pass into the Mustang region, where you’ll enjoy beautiful views of the Thorong Peak, the Nilgiris and the imposing Dhaulagiri, one of the region’s 8,000m peaks. After the pass we have a very long descent to Muktinath, one of the holiest shrine in Nepal for Hindus and Buddhists. (the 1st summiteer of Annapurna 1) in his attemp to climb Dhaulagiri with its team..
We walk up the Kali Gandaki river where we make a stop to the picturesque village of Marpha with its stone houses with flat roofs. Marpha is famous for Apple brandy. We are in the apple country. We walk on a flat trail to spend our last night in the mountain. Drive to airport and flight to Kathmandu. You will get stunning views of the Annapurna range. On arrival, you will be transfer to your hotel. The rest of the day is free for you to wander or do your final souvenir shopping.